Tickets for REAL MADRID are always sold-out. Make sure you get your tickets from a trusted ticket agent listed here. 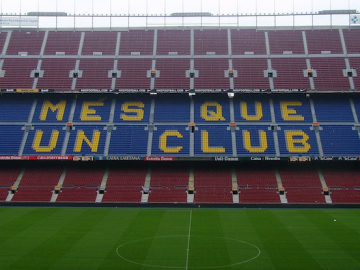 FC Barcelona are one of the biggest supported teams in the world and tickets are always in high demand. Their stadium Camp Nou holds over 90,000 supporters and even with this, tickets are always nearly sold out. Read our guide on how to get tickets and use our trusted ticket agents to get yourself guaranteed tickets. “Mes que un Club” – More than a club! !